Lamar Odom blames Khloe Kardashian for their split, saying she brings out the "bad side" in him. 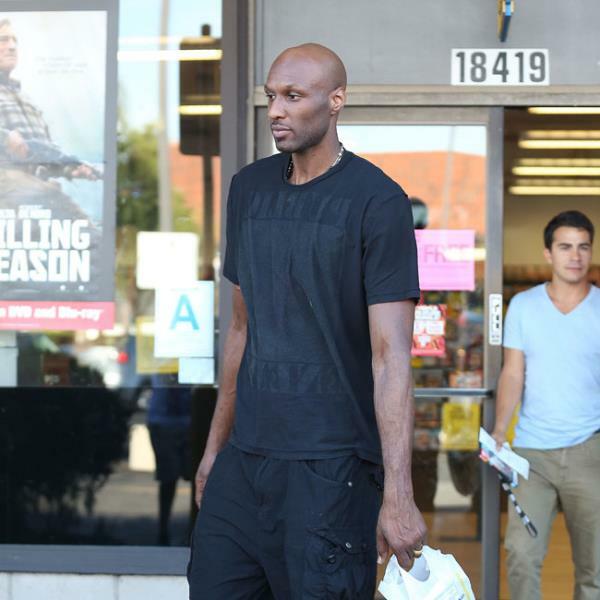 Lamar Odom blames Khloe Kardashian for their split. The basketball star's wife filed for divorce on Friday amid rumours of his infidelity and drug use, but he claims she encourages his "bad side" to come out. A friend told TMZ.com Lamar had said: "I can't be f**king with Khloe. She brings out the bad side of me." Furthermore, he blames his friends for the cheating allegations, saying they have been "supporting me the wrong way by bringing girls around." Lamar, 34, also said he now needs to be "married" to his basketball career at the Los Angeles Clippers. Reality TV star Khloe and the sportsman split in September after four years of marriage and he had been begging her to give him another chance, so the divorce came as huge blow. A source said: "He's deeply saddened by Khloe filing for divorce. "He knew it was coming and it was only a matter of time. He felt like he gave his all to try and save the marriage, but ultimately he wasn't able to. "There will always be a place in his heart for Khloe. He will always love her and her family. She has decided and there is nothing more he can do. He has to accept that."